Stefan Feistel studied physics at the Humboldt University, Berlin, Germany, and received a Master’s degree in theoretical physics in 2004. 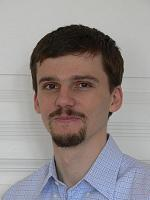 He received his PhD on computational modeling of sound systems from the department of technical acoustics at the RWTH Aachen University in 2014. In 2000, together with Wolfgang Ahnert, he founded SDA Software Design Ahnert GmbH, which is dedicated to the development of acoustic modeling and measuring software, such as the simulation software EASE and the measurement tool EASERA. To coordinate these activities, the Ahnert Feistel Media Group (AFMG) was established in 2006. Stefan Feistel is a member of the AES, the ASA, the DEGA, as well as of several IEC standards groups. Mr. Feistel authored or coauthored more than 70 papers focusing on software projects and the related mathematical, numerical, and experimental background studies. The JAES article on Methods and Limitations of Line Source Simulation has been distinguished with the AES Publications Award 2010. Stefan Feistel is the author of the book Modeling the Radiation of Modern Sound Systems in High Resolution, and a coauthor of the books Messtechnik der Akustik, edited by M. Möser, and Handbook for Sound Engineers, edited by G. Ballou.